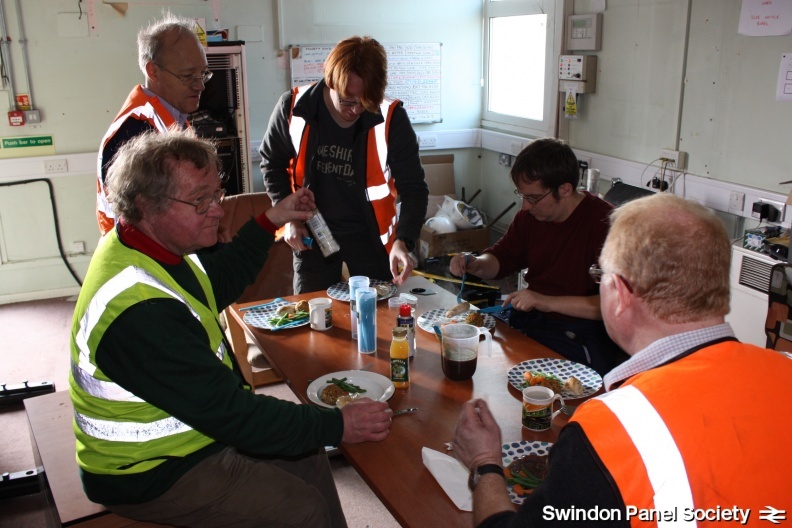 Swindon Panel Society is holding a Workshop for volunteer demonstrators on 16 March. There are still places available, and as you’ll see there are some good opportunities for us all to improve our skills, whatever our background level of signalling experience. 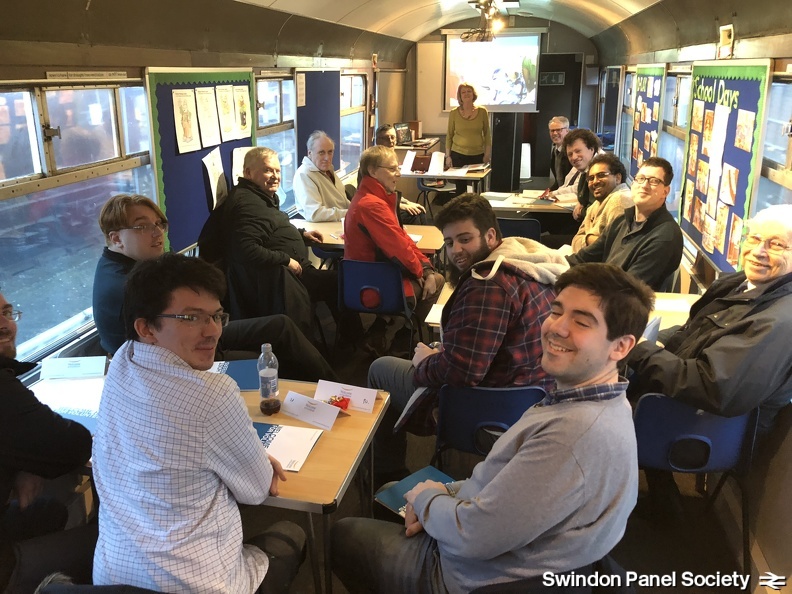 If you might be interested in demonstrating Swindon Panel to visitors at Didcot Railway Centre – please get in touch! Thank you for volunteering to attend the SPS Demonstrators’ Workshop day! We have constructed the timetable for the day to hopefully enable everyone to get the best from it, as you’ll see from the schedule below. To avoid overwhelming the different aspects of the day there will be two groups, with slightly different times. The most important important parts of the day are the Welcome Host for Volunteers training programme from Tourism South East, and the Didcot Railway Centre signalling tour. These are great (and expensive!) opportunities, so let’s all try to make the best out of them. Our panel-specific skills are of secondary importance on this day. A buffet-style lunch will be provided (if anyone has any allergy etc requirements please let me know). Recognising that many attendees will already be fully comfortable with operating the panel, the ‘Panel’ items have been put at the start and end of the day so that those already familiar with how it works can arrive late or depart early if they wish. Group A has this at the end of the day, so the ‘fixed’ part of Group A’s day is 0915-1545, with as much ‘Swindon’ time after that as you wish. Group B has this at the end of the day, so the ‘fixed’ part of Group B’s day is 1100-1700, with as much ‘Swindon’ time on the start of that as you wish. 1300 – 1500: Tour of the other signalling exhibits in the building, Radstock and Frome signal boxes, and DRC in general. 1545 onwards Swindon Panel explanations and practice (optional). If you are already familiar with the operating of the panel then please don’t feel obliged to attend this part. 1100 – 1300: Tour of the other signalling exhibits in the building, Radstock and Frome signal boxes, and DRC in general. Many thanks to everyone for contributing your time to Swindon Panel. This Workshop will hopefully improve all our skills at handling visitors and delivering demonstrations, no matter what our background level of signalling experience. Remember to please let me know your preference for Group A, B or ‘don’t mind’! We are delighted to have been invited to Didcot Railway Centre’s Civil Engineering Group’s Grand Dinner, on the evening of 23 November 2019. 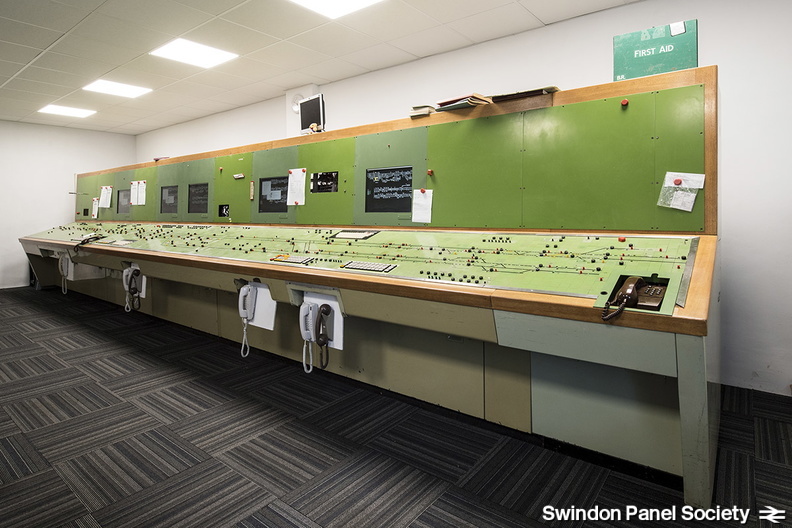 The CE Group conducted the planning, procurement and nearly all construction work for The Signalling Centre, in which Swindon Panel is now displayed, and we are delighted to maintain close friendships between SPS and the CE Group. Joining instructions will be posted here, and messaged to anyone who indicates they’re ‘going’ or ‘interested’ in this event, as well as via the other usual methods. Demonstrators’ Workshop Day on 16 March 2019. Everyone who currently demonstrates Swindon Panel or wishes to in the future is encouraged to attend. - Discussions between everyone on what they’ve found works well and what doesn’t. Lunch will be provided. All discussion based, everyones’ views welcome – there won’t be any tests or assessments! If you wish to attend please ensure you advise Danny, Tom or Jamie, or ‘click to volunteer’ on the roster on HOPS. If you’ve never been involved with Swindon Panel before, but would like to be, this is an ideal time to get involved! Please contact us for more info! All SPS members are invited to the SPS AGM on 18 May 2019, at Didcot Railway Centre, commencing at 1pm. The panel will be open as part of its normal open day from 10am until 4pm, so even if you’ve never visited before, you can come and see how it all works! 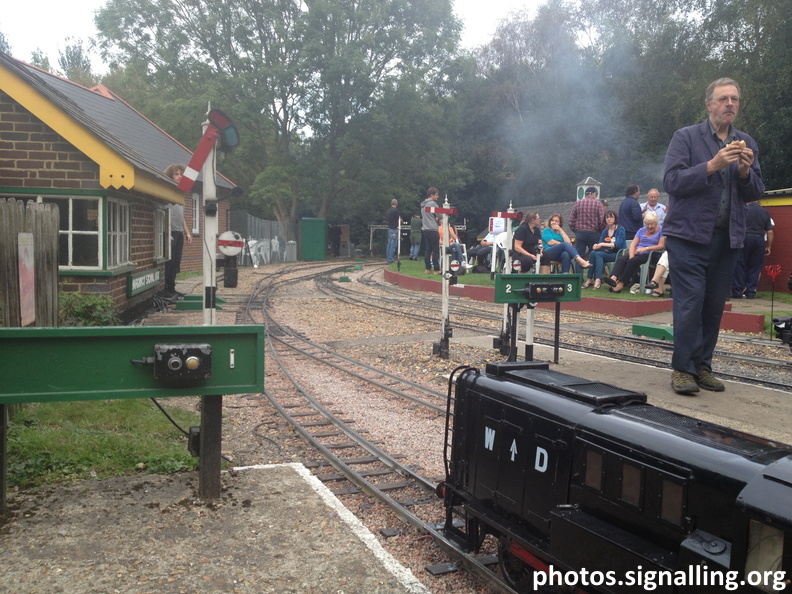 Please show your SPS membership card at the box office to obtain entry to Didcot Railway Centre. The AGM is an “official” affair, but there will be an opportunity for informal questions and answers after the formal business. Non-members are welcome to attend in an observer capacity (but may not vote). There will also be the opportunity to look round the rest of the Railway Centre, engine sheds, other signalling exhibits, etc, and a light buffet will be served in the afternoon (donations welcome). 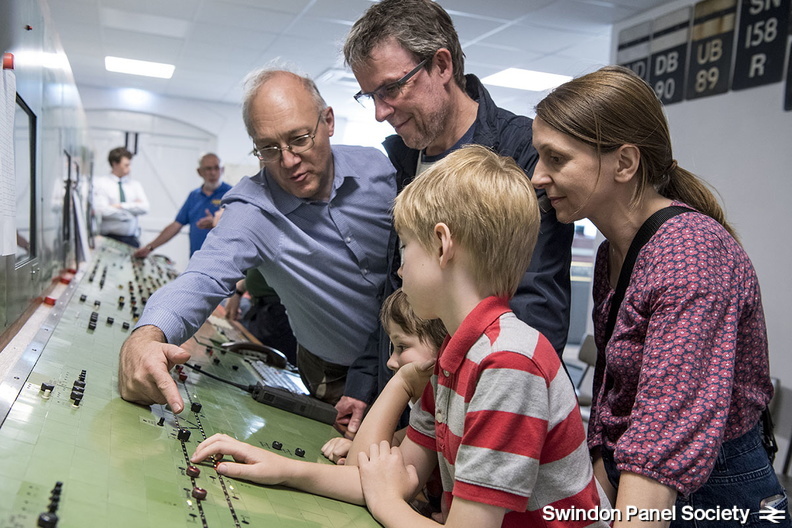 All SPS members are invited to Members’ Weekend to see the latest progress and developments at Swindon Panel and Didcot Railway Centre. Whatever your level of signalling knowledge or experience, come and visit the panel you’ve all contributed to preserving and have a chat with some old friends and maybe make some new ones too! The panel will be open from 10am on Saturday 7 September to 4pm on Sunday 8 September… CONTINUOUSLY! Yes, that’s right, the challenge of the weekend will be 30 hours of continuous Swindon Panel operation! The Railway Centre is open from 10.30am, so all members are welcome to ‘drop in’ at any time from 10.30am each day. (Please show your SPS membership card at the box office). The Signalling Centre will be closed to the public from approximately 4.30pm, so SPS members might like to take advantage of this opportunity to exclusively view the rest of the exhibits in the exhibition. There will also be the opportunity to look round the rest of the Railway Centre, engine sheds, other signalling exhibits, etc. If you are interested in taking on a rostered session on the panel during this period please contact Danny Scroggins. Sleeping accommodation can be arranged for this event at DRC if required. Our list of opening dates for the first part of 2019 is now available! The panel is visible (through a glass wall) on ALL days that the Railway Centre is open. The dates listed in the link above are those on which the panel room will be open to visitors, operated and everyone can have a go. Just like buses…… Some further additional dates have been added when Swindon Panel will be open and in operation, for everyone to visit and ‘have a go’ under the instruction of our demonstrators! SPS Members – If you’re free to volunteer on any of these dates then please let us know or ‘click to volunteer’ on the roster. All of these have training/induction potential so, if you’re waiting for a training day and can make any of these dates then please let us know or ‘click to volunteer’ on the roster. Thank you to everyone for their input into these extra dates, we’ll now be open one weekend day every weekend from the end of October until Christmas which is a fantastic achievement! A great first training session was held last weekend and we are starting, thank you very much to our first group of demonstrators! Much positive feedback has been received, which is excellent, as well as a lot of ideas, suggestions and feedback for future improvement, all of which will be mulled over and implemented where appropriate. The development of the panel exhibit is marching on as it has been doing behind the scenes for several years now – I am pleased to say that some furniture has been ordered for the panel room today, including some metal locker cupboards that will go on the back wall under the number plates to store leaflets, merchandise, tuck shop, etc and also display items and merchandise on top. Also on the way is a metal and glass display case which is destined for the small wall on the left as you enter the panel room, which will display items of MAS signalling interest such as relays, ATP components, piltoman’s armband, Annett’s lock, SPRS instrument and key, etc, etc. An operating day on 24 NOVEMBER has been added, which has induction/training day potential. Please feel free to ‘click to volunteer’ on the roster, or let me know by reply if you are available for that day. There are several other operating days in the roster now, with many opportunities to volunteer, so please feel free to do so (for dates after your induction/training day). If you are still waiting for an training day, and 24 November isn’t convenient, please continue to watch this space! Swindon Panel Days will be held on September 1, 22, 23, 29, 30. These are for demonstrating the panel to public visitors, and for training demonstrators in how to do so. We will contact members who have already expressed an interest in demonstrating the panel, but if you want to beat the queue, please contact Danny or Jamie to book in to one or more dates. Training will consist of how to switch the system on and off, how to operate the panel, and (most importantly of all!) how to interact with public visitors. Training will be led by one of the central SP team, and each member can take as long or as little training as needed. When both you and we are happy, you’ll become qualified as a Swindon Panel ‘demonstrator’ to demonstrate the panel, or (again, only if you and we are happy) a ‘Person in Charge’. There is always a person in charge on duty when we are open and that person co-ordinates the ‘demonstrators’. Please note that, to ensure quality training, only those members who are ‘booked in’ will be operating the panel all day and receiving ‘official’ training. However, these days are open to public visitors and anyone can ‘drop in’ at any time. A date in Swindon Panel’s exciting and sometimes unbelievable journey to preservation that you won’t want to miss! The grand opening of the new signalling building at Didcot Railway Centre, including the ceremonial opening of Swindon Panel, will take place on 23 June 2018. We are delighted to confirm that the opening ceremony will be officiated by Francis How, Chief Executive of the Institution of Railway Signal Engineers! The ceremony will also be accompanied by other special attractions and visitors…. watch this space! £152.60 has been raised for Swindon Panel in the last few months via EasyFundraising! Well done everyone! When supporters shop at one of over 3000 online stores, those stores donate money to Swindon Panel, without costing the shopper any more. If you aren’t registered yet, please consider doing so, and using this special link will attract an extra £1 donation for SPS, without costing you anything extra, or, in fact, anything at all! There are even browser extensions available for Chrome, Firefox, etc, that automatically recognise you’re a supporter so you don’t have to remember to log in before shopping. As part of our great effort to have a small part of the panel working in time for the Friends’ Day on 11 March, an extra working day has been arranged for this Thursday 16 February – all help welcome, and James will bring biscuits! Swindon Panel & Friends, Slight Change of Plan! 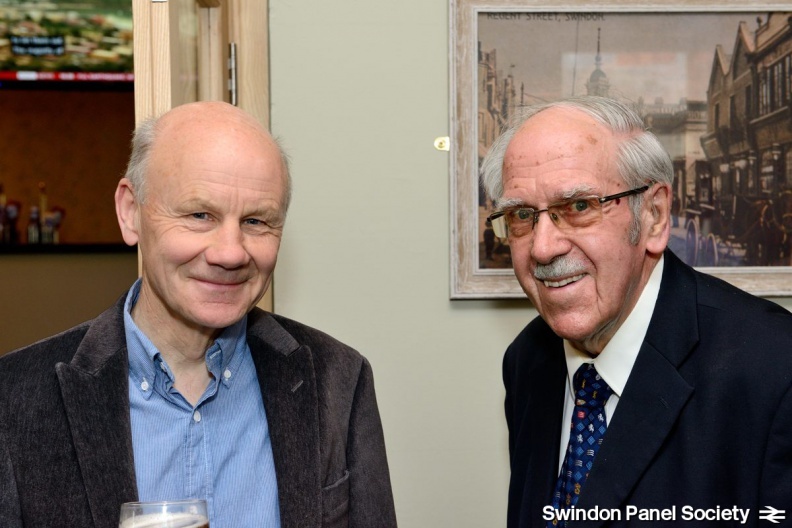 We are all looking forward to the Swindon Panel & Friends day on 11 March, where we hope to welcome all those with a past connection to Swindon Panel to visit it in its new home (full details). In response to feedback we have slightly changed the emphasis of the evening from ‘dinner at a restaurant with a bar’ to ‘drinks at a pub that serves food for those who wish to eat’. We hope this meets with your approval, and we hope you will be happy to join us for a drink at The Ladygrove, Didcot (OX11 7SZ) from 6.30pm. We will have a specially-reserved section of the bar/restaurant. Those who wish to may still order food, but there is no expectation to do so. The panel itself is open from 2pm in Didcot Railway Centre (full details).